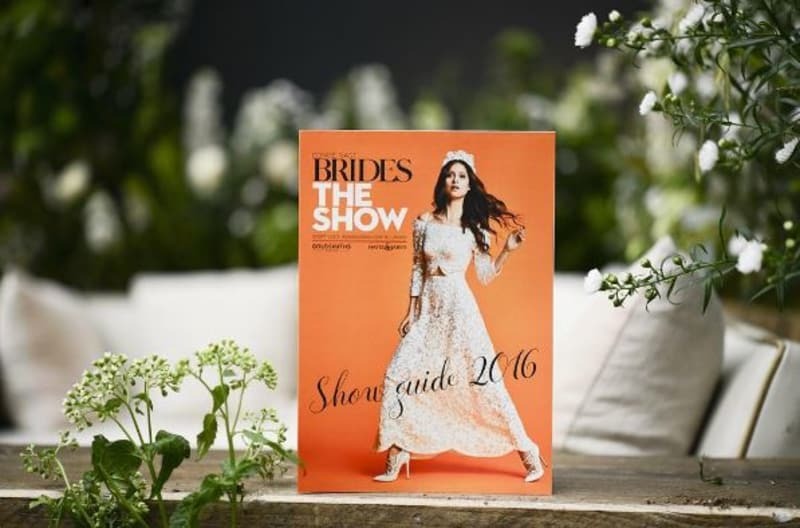 On Friday September 30th, the Bridebook team were lucky enough to attend the fabulous Brides The Show – and what a treat! 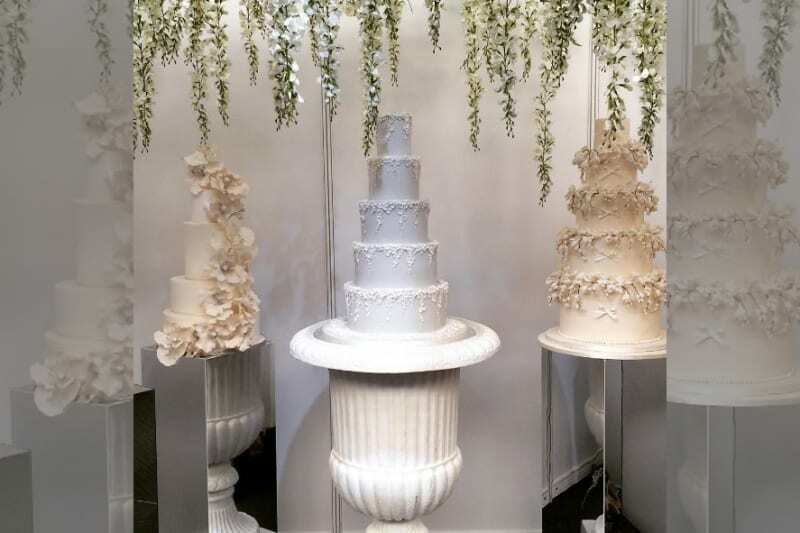 We were blown away by the outstanding quality of exhibitors and stand management. After spending all night at the show (no seriously, we were the last to leave!) we got to meet some of the best of the best of the wedding industry. So if you were unable to attend or aren’t from the London area, don’t fret! We’ve put together a list of all of our favourite stands and brands in attendance at this year’s show. And even better, we got them each to write us a little description of their experience so you can really feel like you were there! 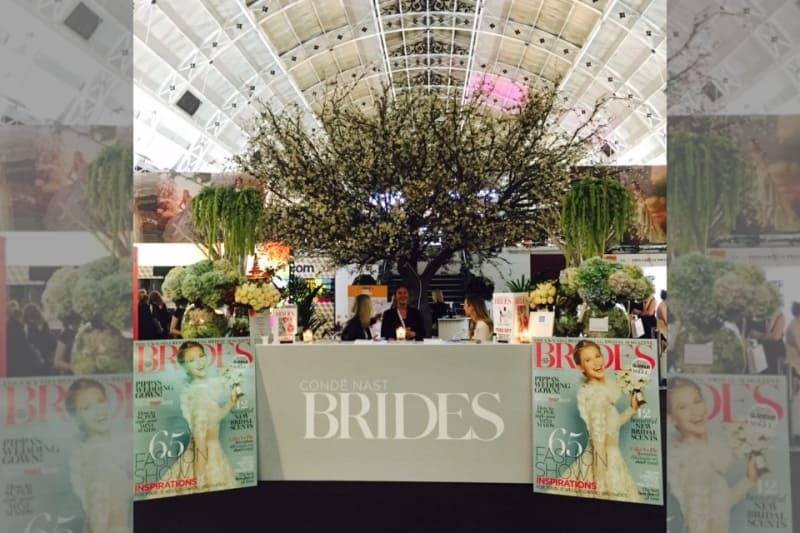 A big, big thank you to Brides Magazine in particular for hosting such a fabulous show. 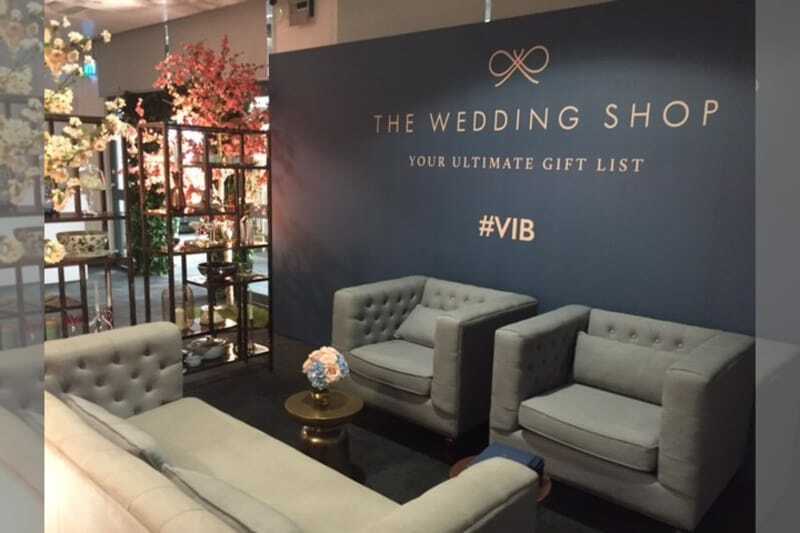 The Wedding Shop not only had some of the loveliest ladies at their stand expertly walking us through all of their features, they also sponsored the gorgeously decorated VIP area – or VIB for those in the know (Very Important Bride!). 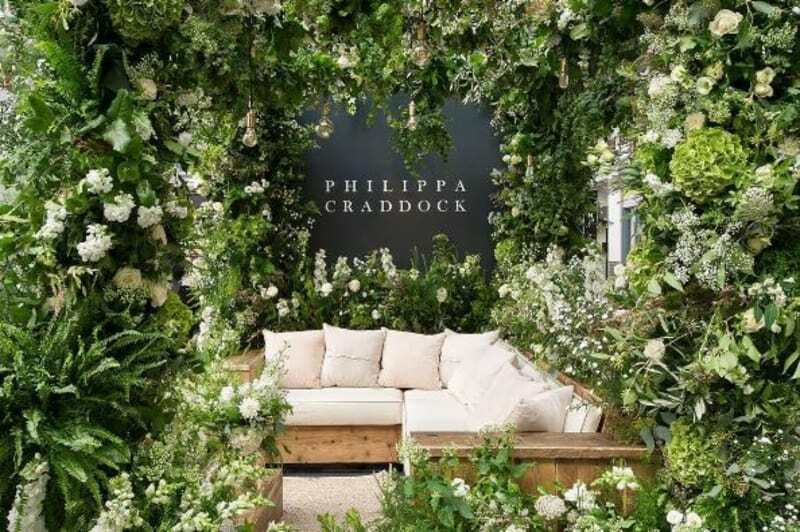 Philippa Craddock’s stand blew us away the moment we walked through the doors. Decked head to toe in the most beautiful and ethereal flowers and plants it was the perfect haven amongst the excitement of the show. Twobirds Bridesmaids has such a stunning array of different dress colours and materials it was only natural that their stand lived up to their reputation! Whether you want your bridesmaids classical or mix-matched modern, Twobirds is for you. Prezola may have been one of the favourite brands at this year’s show! 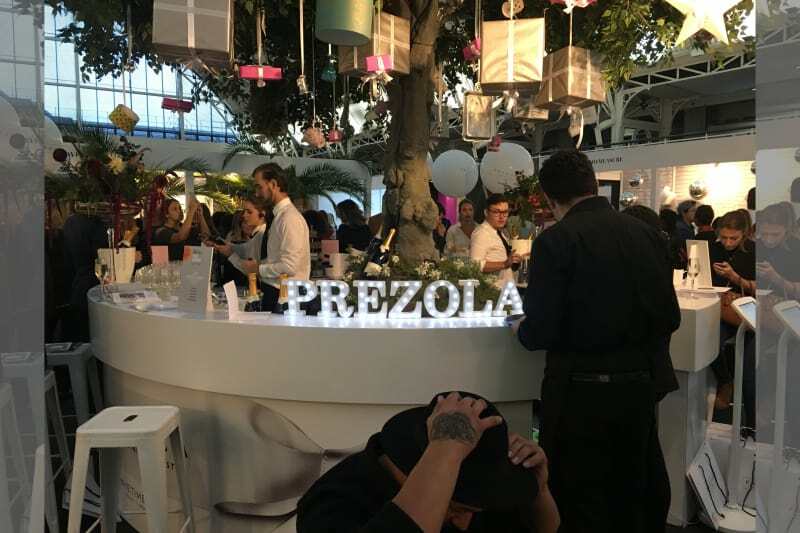 Their gorgeous Prezola Bar serving champagne all evening was a hit with most of the attendees and really captured the fun and excitement that wedding planning and gift lists are all about! The legendary American bridal brand is making quite an impression on the UK industry! Brides are falling for their countless gorgeous designs and range of pricing and, if their wonderful show staff are anything to go by , their spot on customer service too! Keeping the party alive from start to end were the wonderful Wedding Smashers. 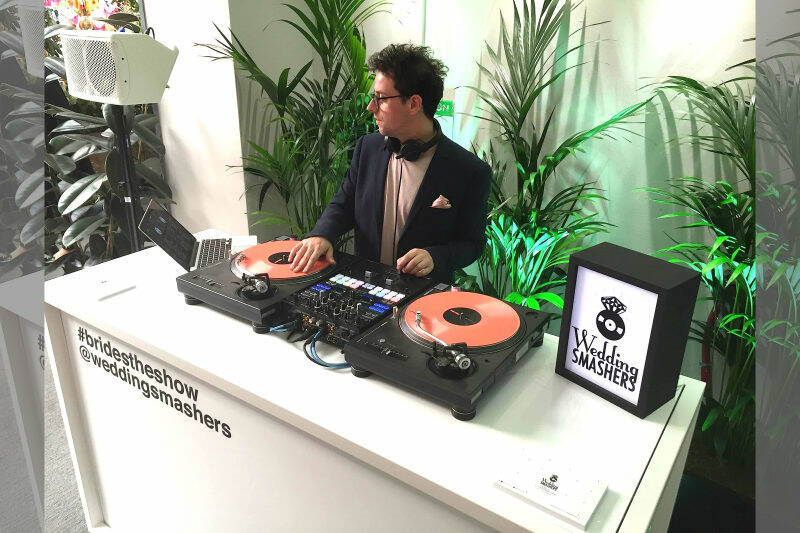 A personal favourite of the Bridebook office, any party with a Wedding Smashers’ DJ in attendance is sure to be a blast! 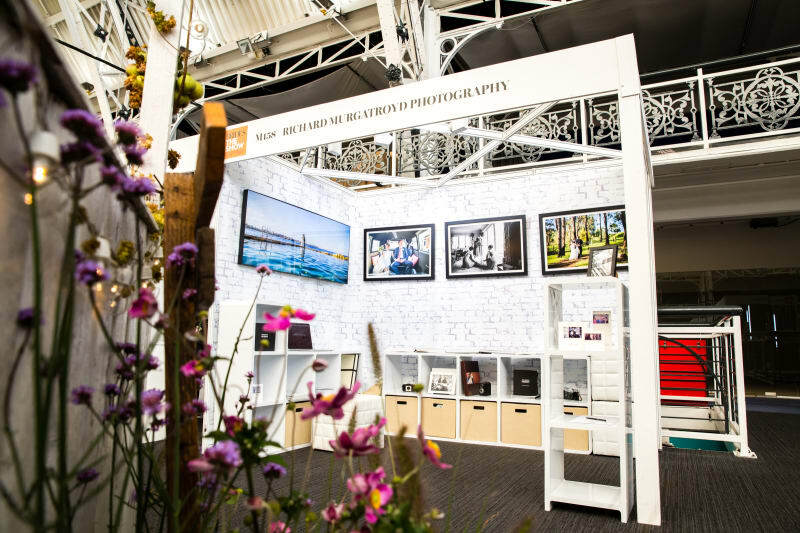 With some of his most jaw-droppingly gorgeous imagery on display it’s no wonder Richard’s stand was such a hit. I guess that’s what you should expect of an award winning and National Geographic featured photographer! Zita Elze’s stand blew everyone away. Decked head to toe in the most gorgeous flowers, it felt like walking through a magical fairytale! Truly a sight to see and any bride would have been lucky to book them! Domino Purchas’ cakes are the sort that capture your imagination in staggering ways. 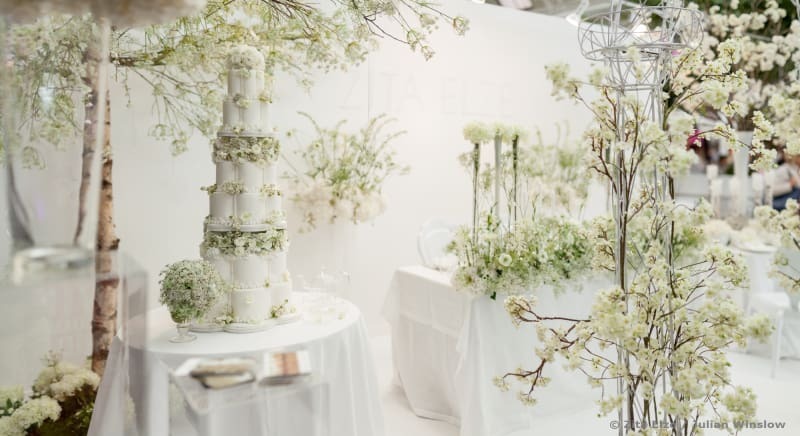 With a perfect balance of contemporary visuals and classic elegance, brides were flocking to this stand!